Fri., Sept. 8, 2017, 1:17 a.m.
It’s never too early to learn financial responsibility. As children mature into teenagers, it gets more difficult to strike a balance where finances are concerned. How much money should parents give to their children? How much should children be expected to earn for themselves? How can children learn financial independence while getting the support they need? 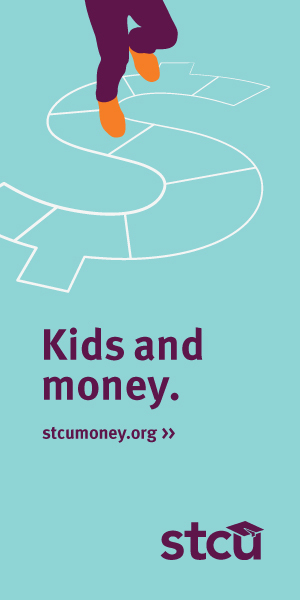 Marcee Hartzell, a community development officer in STCU’s Community Relations department, regularly goes into elementary, middle and high schools to discuss financial responsibility. A game she plays with high-school audiences shows two investment trajectories, one starting at age 20, the other at 35. Over the decades, the two trajectories begin to separate by hundreds of thousands of dollars. “When they see that chart, it really hits home, and one of the things we roll into that is the concept of retirement,” Hartzell says. She also lays out the benefits and pitfalls of credit cards, the importance of establishing a positive credit history, and the vital need to save for emergencies as well as big purchases. Ideally, Hartzell says, parents will be having those same conversations with their children at home. They should carry on even into the college years, when expenses are greater and “setting the boundaries” becomes more important for family and financial harmony. Published: Sept. 8, 2017, 1:17 a.m. Updated: Sept. 22, 2017, 1:17 a.m.